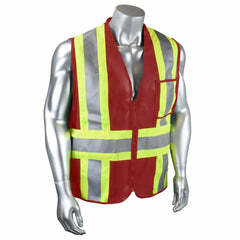 Any vest is great for maximum mobility, but the Two Fisted Fleece vest adds functionality with three deep pockets to keep your tools close at hand. Like all Blaklader fleece, it has a wind and water resistant membrane and an extended back. 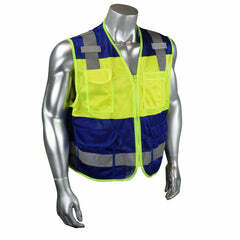 Add reflective piping for low-lit worksites and that's one functional vest. 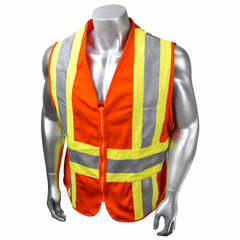 Wearing any other vest is like trying to hammer a nail with a screwdriver. Sizes: S-3X. Sold per EA.